Once the air starts to turn crisp, we know to watch for leaves to start changing color and falling. Down here in the South, this actually happens about a month after fall officially begins. But that doesn’t matter. I start getting into the fall spirit around September 1. 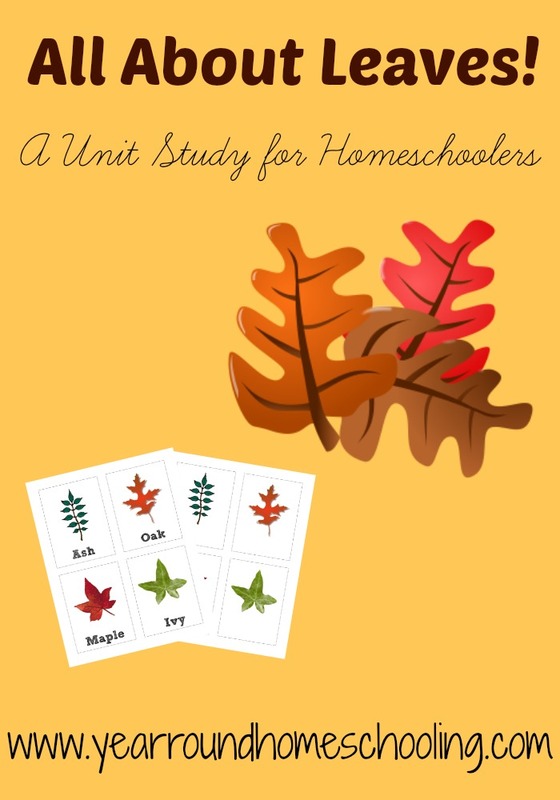 To help our kids learn more about this time of year, we put together a fun fall leaves unit study – one of our easy homeschool unit studies that you can use to discuss themes with your kids! 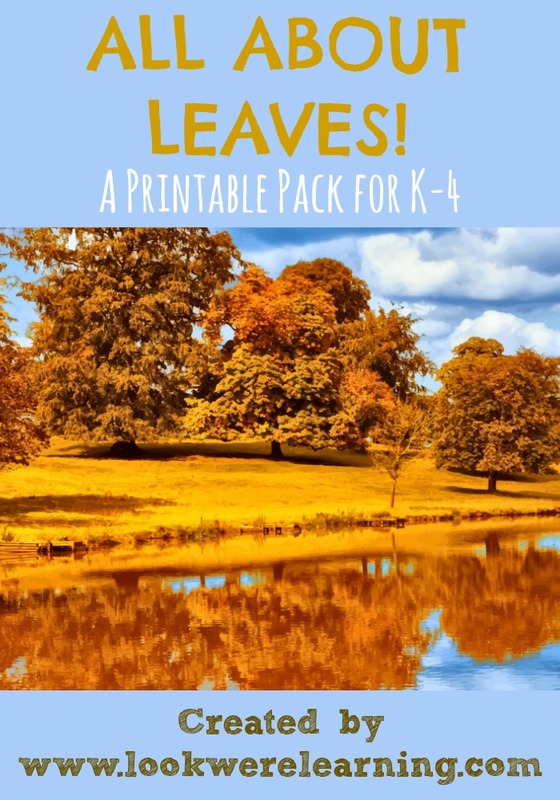 Below you’ll find fall leaf books, leaf arts and crafts for kids, and leaf printables and activities that will be fun to use with your children! 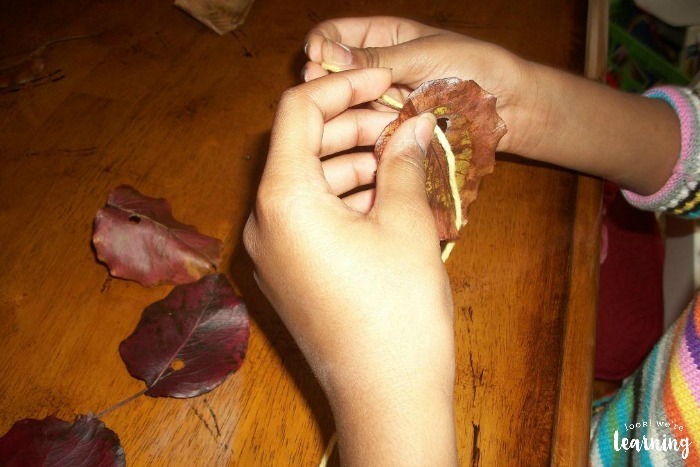 If you enjoy this unit, don’t miss some of our other fall activities, including our leaf identification flashcards and our easy coffee filter apple craft! 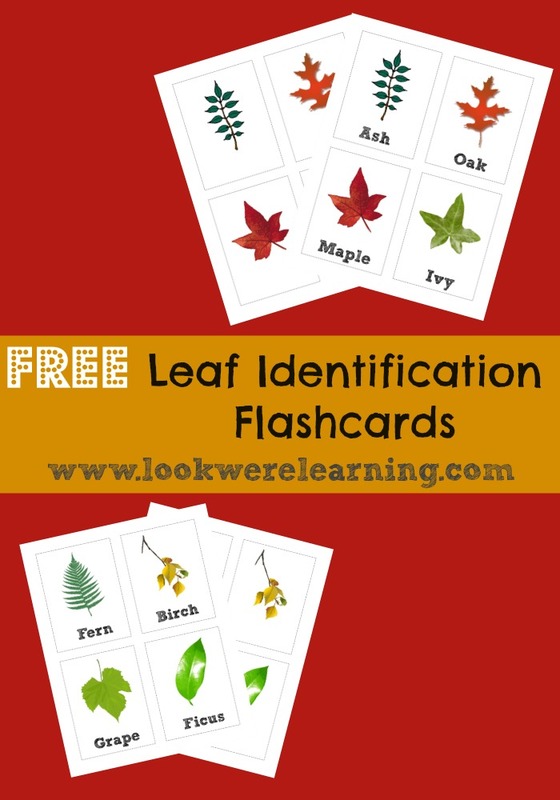 Pick up these free leaf notebooking pages for the kids to use as you cover this unit study! 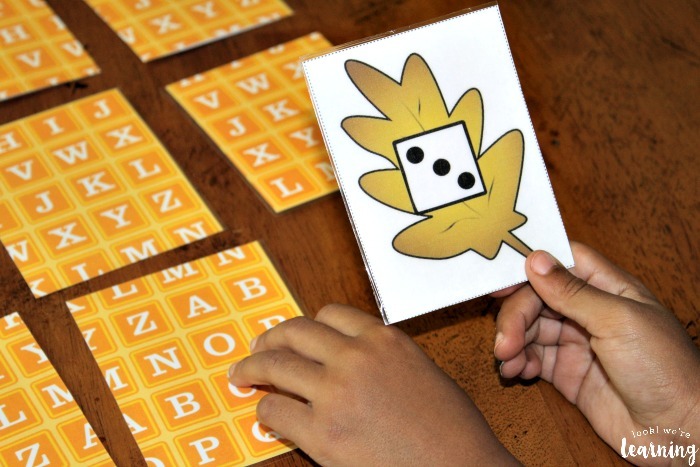 These are great for copywork exercises, handwriting practice, or for collecting the facts they learn along the way! You might even use them to answer the questions in the video section that follows! 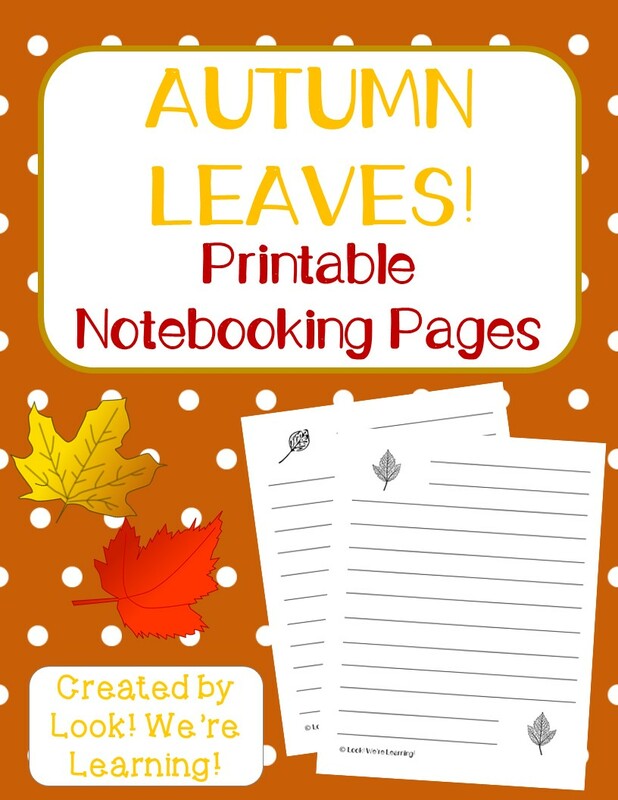 To download the free leaf notebooking pages, just click the image or the link below! Why Do Trees Shed Their Leaves? 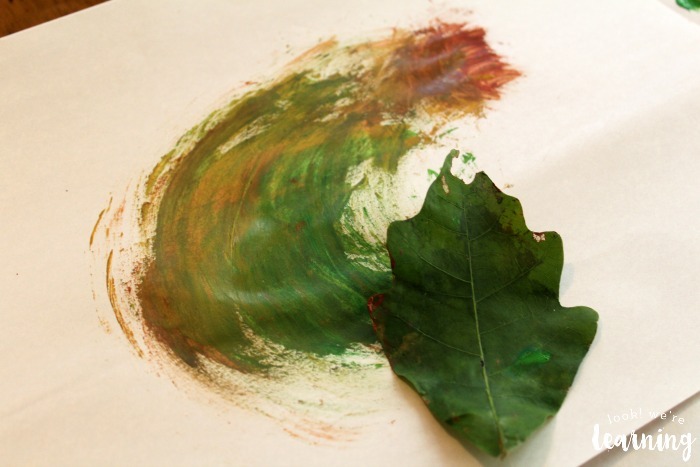 Watch the following video to find out why leaves fall off trees during autumn. See if the kids can answer the questions below afterward. So leaves aren’t just falling off of trees. They’re being nudged off by the trees themselves. Neat! 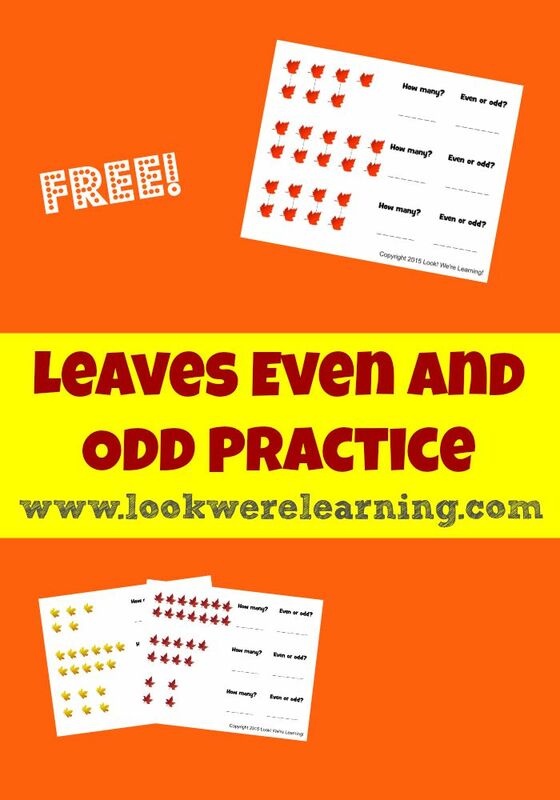 Add some math practice to your fall leaves unit study with this fun concentration game! 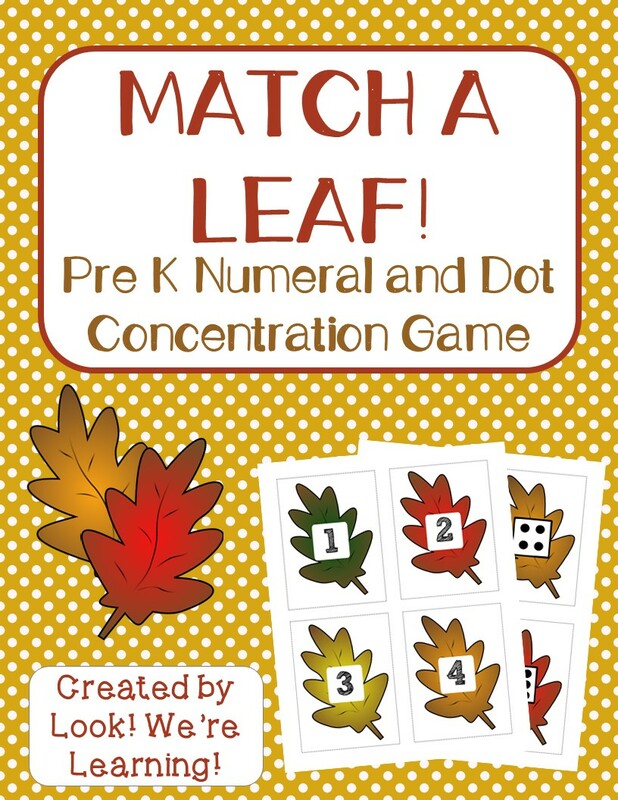 Kids can take turns matching numbers and dots while keeping with the leaves theme! 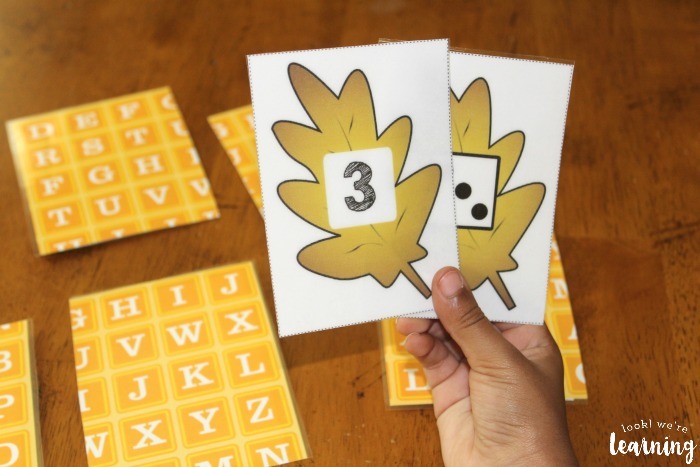 To get your copy of our fall leaves math concentration game, click the image or the link below to visit our Store! 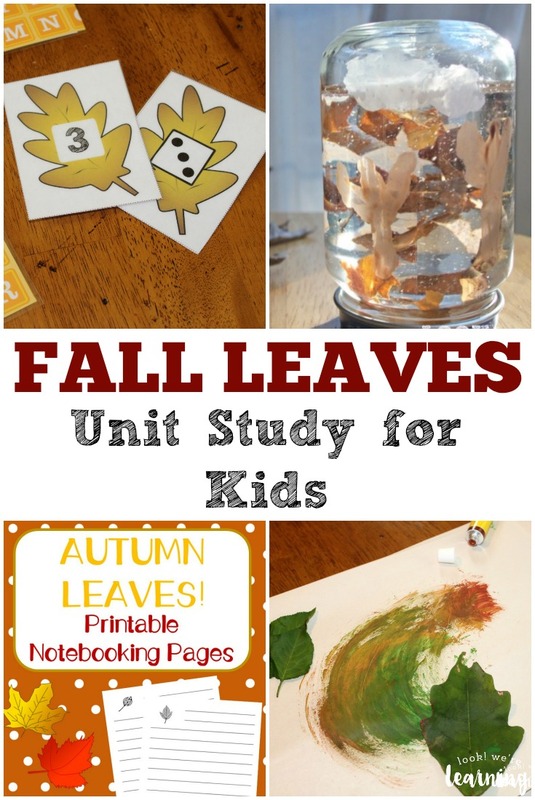 Share some of these easy fall leaf arts and crafts with the kids as part of your unit study! Fall is a wonderful time for family reading! 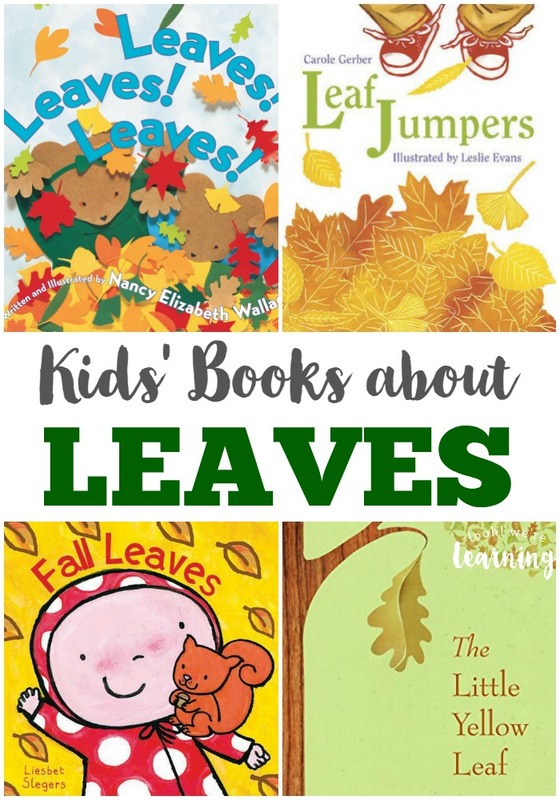 Share some of these fall leaf books for kids this autumn! And be sure to pick up our free fall reading journal printables to check comprehension for older kids! 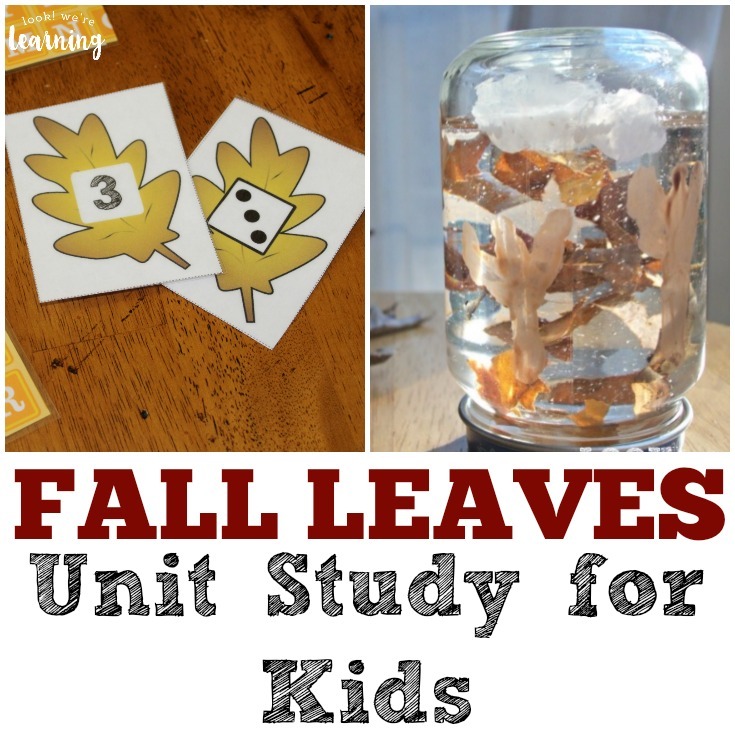 Add even more educational fun to your fall leaves unit study with these activities and printables! 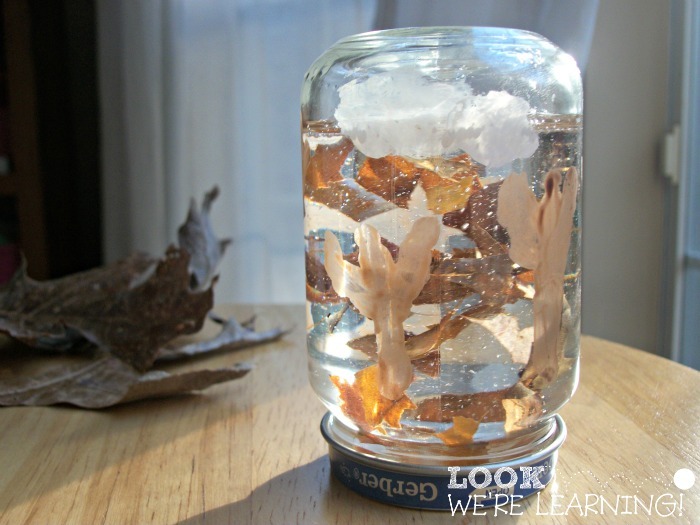 Want even more awesome fall leaves fun for kids? 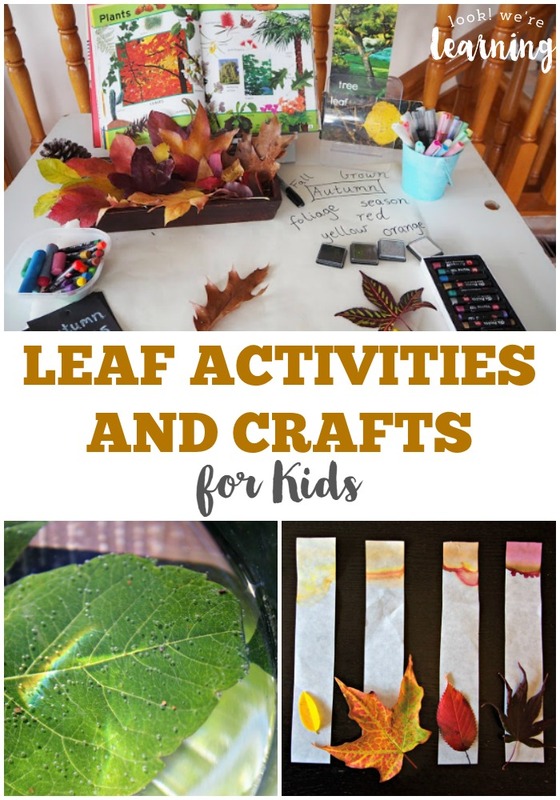 Follow my Fall Activities for Kids board on Pinterest!